How to Search Issues for All starred GitHub Repositories Together? This article covers how to search issues for all starred GitHub repositories together. GitHub provides the feature to mark any repository as starred so that you can access it later easily. You must have also starred multiple repositories and each repository may contain multiple issues. Searching for an issue in a particular repository is easy, but what when you need to perform search in dozens of repositories? In that case, a simple tool that I have covered here can be handy for you. To search issues for all starred GitHub repositories together, I am using a free online tool called “Giistr“. 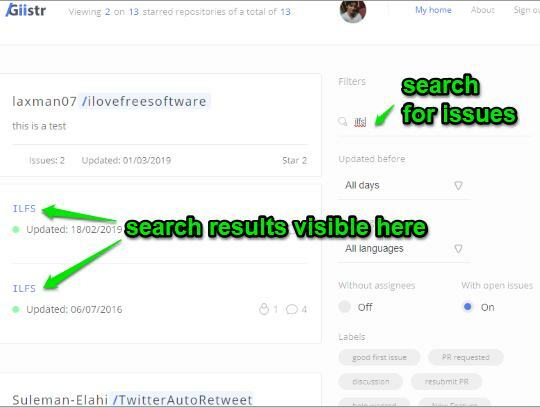 Just add search text and the list will be filtered to provide you only those issues (and pull requests) that match search text. 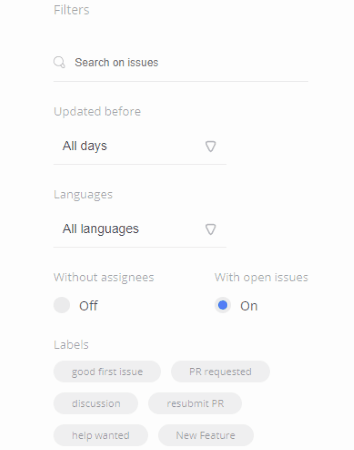 You can also add some filters like select a language, perform search with open issues, with or without assignee’s, etc. In the screenshot above, you can see that I searched issues for multiple starred GitHub repositories together with the help of this tool. Step 1: Open the homepage of this online tool and sign up with your GitHub account. 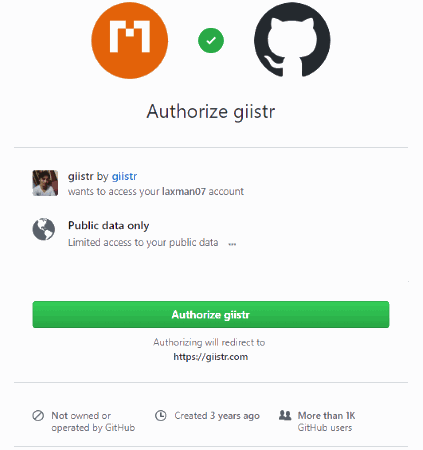 You need to authorize this service to access your GitHub account. There will be 5000 requests per hour to search issues with limited access, but you can also get unlimited access by generating a token. Search days: All days, last 2 months, last year, last 5 days, and last 30 days. Include with or without assignee’s. With or without open issues and other filters. Set language filter: Python, Go, C#, Java, etc. Step 3: Based on the applied filters, results are presented to you on the left part. You can see filtered issues based on search query, number of comments on that issue, etc. You can also click on a particular issue to jump to the issue page on GitHub directly, which I like a lot. That’s all about this tool. Did you know you can also check creation date of any GitHub repository? Searching issues for a specific starred GitHub repository is not an issue. But, when you have marked so many repositories as starred and want to search issues on all those repositories, then native feature of GitHub won’t come in handy. In that case, this online tool is a very good option to try.